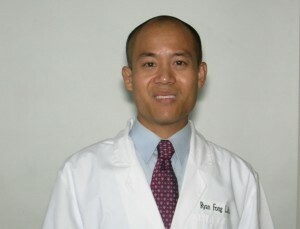 Ryan Fong L.Ac., is a California State Board Licensed Acupuncturist and Herbalist. Ryan graduated with a Master’s of Science of Acupuncture and Oriental Medicine degree from Southern California University of Health Sciences in Whittier, California. He was trained by highly sought after instructors within the field. Ryan has seven years of clinical experience treating and helping patients overcome physical, mental, and emotional problems. Upon completion of Licensure from the California State Board, Ryan worked at the Ultimate Health Care Center in Granada Hills and then was offered an amazing opportunity to be the Resident Acupuncturist on the Dawn Princess Cruise Ship which traveled around the world. His goal with each patient is to help improve their health and well-being. Ryan assesses patients holistically by taking a thorough history, evaluating diet and lifestyle, and creating an individualized treatment plan. Ryan is well trained in acute and chronic pain management and internal medicine, treating his patients with pain-free acupuncture techniques. He also utilizes other forms of Chinese Medicine to bring optimum wellness, including Chinese Herbal Medicine, Chinese Remedial Massage, breathing exercises (relaxation techniques), Tui-Na, cupping, moxibustion, NAET, and nutritional counseling. He is dedicated in providing only the highest standard of professional service and combines this with his gentle natured approach to guarantee that all his patients receive only the best treatment while in his care. Ryan also holds a Bachelor of Science from the University of Southern California in Public Policy and Management. His hobbies include spending time with his friends and family, playing basketball, meditation, yoga, hiking, and taking his dog, Ollie, for walks. Please feel free to contact Ryan if you would like to know more about how acupuncture and oriental medicine can help you.